Authorities in the western Indian state of Gujarat state have banned a controversial book on Pakistan's founder Mohammed Ali Jinnah. 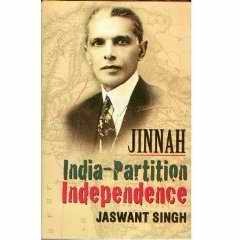 Jinnah-India, Partition, Independence has been written by Jaswant Singh, an expelled leader of the Hindu nationalist main opposition party BJP. The BJP government in Gujarat said it banned the book for its defamatory references to Vallabhbhai Patel, India's first home minister. The late Mr Patel is a political icon in his home state of Gujarat. Described often as the Iron Man of India , Patel played an important role in the country's independence and the integration of the different states in the Indian Union. The book has been banned because it contains defamatory references regarding Vallabhai Patel who is considered as the architect of the modern India, a statement by the Gujarat government says. Jaswant Singh said he was saddened by the banning of the book in Gujarat: The day we start banning books, we are banning thinking . The book was released earlier this week and immediately created a controversy. The BJP dissociated itself from the book and sacked Singh from the party. The state government said it had banned the book for defamatory references to India's first home minister who is a political icon in his home state of Gujarat. While banning the book last month, the Gujarat government had said that Singh's book Jinnah: India-Partition-Independence was objectionable, misleading and against public tranquillity. But the Gujarat high court said that the government had not read the book before imposing the ban. The court said the government had not applied its mind to arrive at the opinion that the book was against national interest and would affect public peace.